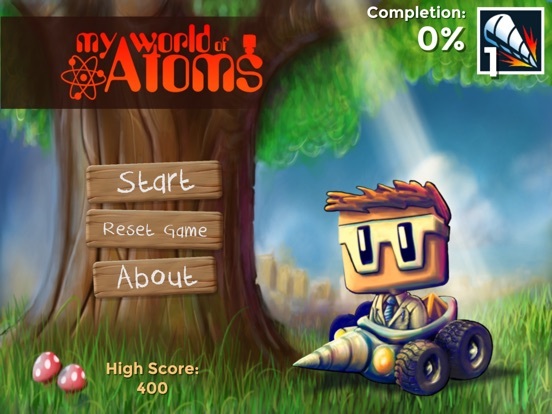 My World of Atoms offers kids and teens a unique way to learn about the elements on the Periodic Table. 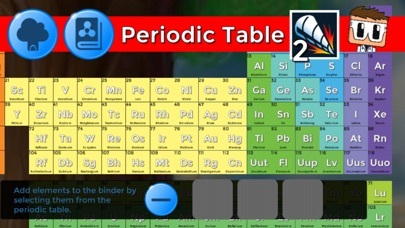 This educational game app has kids drill through a pixelated world to obtain the various elements on the Periodic Table. Then they head back to the lab and combine those elements to create different compounds. As they do, they learn about the makeup each element and how each element is used. This highly entertaining app is a fun way to get kids interested in science. This app has the backing of some major developers, including Samsung and Apps for Good, so it’s no surprise that it is a high-quality app. On the main screen, kids will see three icons: Start (or Continue), Reset Game, and About. They’ll also see how much of the app they’ve completed and their current level. When kids first start playing the game, they’re taken through a short tutorial. 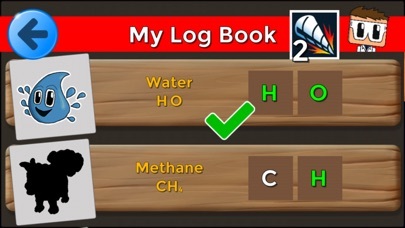 After collecting Hydrogen and Oxygen to make water and advance to level 2, they’re left to complete the rest of the app themselves. However, they can tap on the app’s main character in the lab if they need help. Kids will find that the app moves fairly smoothly. Their goal is to find elements which they do by drilling through blocks of sand, water, dirt, rock, and other natural elements. A meter on the side of the screen displays how much power their drill has. If the drill runs out of power, kids must head back to the shade to refresh. Thankfully, the drill reloads quickly so kids can get back to drilling. The main goal of the app is to teach kids about the Periodic Table and the elements it contains. This is done in a few different ways. As kids find elements while drilling, they’re shown a short description of the element which includes the chemical symbol, atomic number, and a brief explanation of what it is used for. 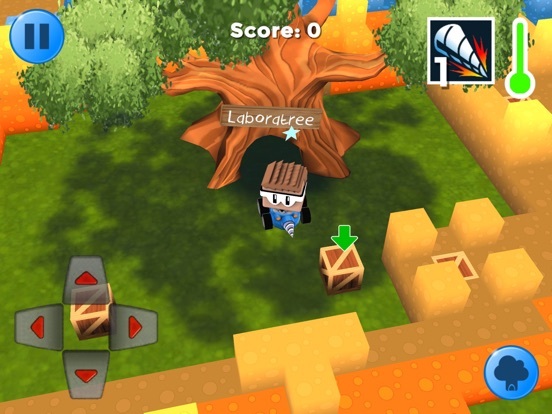 In the Laboratree, kids can view the same information by tapping on a specific element on the Periodic Table. As kids collect elements, they can also access their log book which displays different compounds they can make. The name and equation for each compound is displayed next to its components. When kids combine different elements to make a compound, they’re shown a description of the compound and its uses. 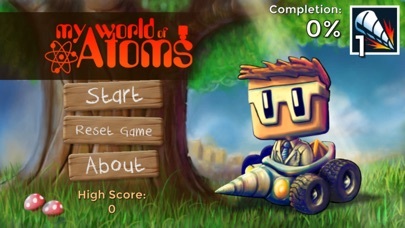 In addition to teaching kids about the elements on the Periodic Table, My World of Atoms is entertaining. 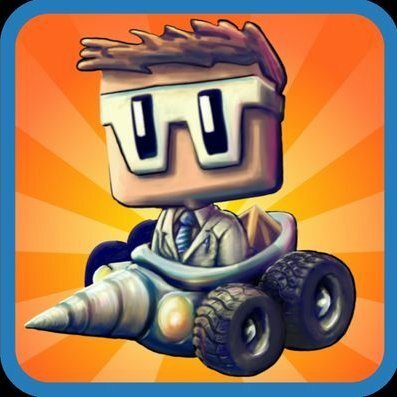 It offers a simple game – drill through the land to collect elements, and then combine those elements to make compounds. Every time kids make a compound, they advance a level. 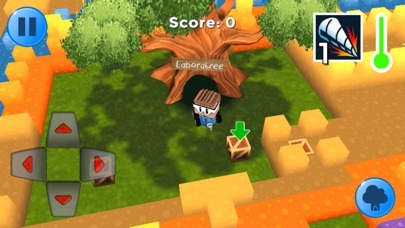 The game adds challenges by restricting certain parts of the land to certain levels and by adding dangerous areas, such as hot coals and electric shocks. Kids must also pay attention to their drill’s power level. This can be a bit frustrating when they’re on a roll, but it keeps them from racing through the app without stopping to actually learn something along the way. Kids will also learn to be strategic about where they drill to maximize their drill’s power. The app was developed by teachers and has been designed to provide both teachers and students with a free educational resource. As far as free apps go, this one definitely stands out. It is full of high-quality content and offers a fun game for kids to play. It’s worth a download to help kids learn about the Periodic Table.